For nearly 7 years now, every Tuesday night in my bar we have had what I like to call: N.W.A. night. No, we don’t get together and spout out controversial gangsta rap lyrics. In this case, Nerds With Alcohol form teams, eat some good grub, and drink beer while listening to our host, Alex, challenge them from the stage with 6 rounds of trivia questions. In all my time helping bars, I’ve found trivia night to be one of the most successful and consistent bar promotions out there, if not THE most successful. 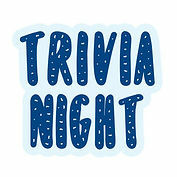 Our trivia night lasts about 2 hours and 15 minutes, which allows plenty of time for guests to eat, drink and spend their money in your bar on an otherwise dead night everywhere else in town. Yes, karaoke is nice, but you have to be in the mood for it (code: wasted), whereas trivia regulars are die-hards who will show up week after week, year after year. In fact, we have N.W.A.’s who have been coming since the beginning, and are still showing up, after 6+ years. They’re addicted, and there’s nothing better than an addicted regular (addicted to fun, that is, not the coke-sniffing dirt-bag kind of addition). With that said, I’m going to give you our 7-step plan so you can set-up and start your own trivia night because it takes a slow night and turns it into a mini-weekend night. 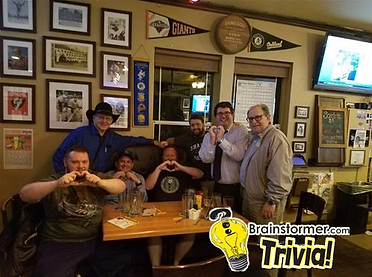 You can also CLICK HERE to watch the video-version of this article on my YouTube channel on how we do Trivia Night at our bar. This can be someone who is already working for you, or you can hire an outside company, assuming there is one in your area (start Googling). 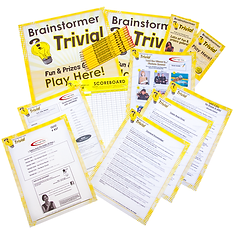 At my bar we use a company called Brainstormer Trivia, and they send us Alex every week, who has been doing it since day one. I love it because we don’t have to do or plan anything for that night. Tuesday rolls around, our bar fills up and Brainstormer takes care of everything. 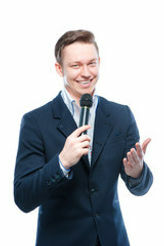 If you don’t have a trivia company in your area, find one of your employees who likes being on the mic and let them read off the questions. The only issue now is that you’ll still need to come up with the questions each week (see STEP 4). If this was a trivia question (“Which night should you do trivia on?”), this would be the softball pitch question. The easiest one of the night. It doesn’t really matter which night you pick. Our goal is to fill the seats on slower nights, so pick a night when you don’t have anything else going on. I like Tuesdays because it sounds catchy: Trivia Tuesday (not to be confused with Taco Tuesday or Ta Ta Tuesday). Just like anything else that has to do with getting people in your bar, you need to get the word out. The great thing about Trivia Night is, and I’m not sure why this is, but people LOVE it. You don’t get people coming in for 6 years, 48 of the 52 weeks every year, if they aren’t addicted to it. That means you do the obvious things like Facebook–or other social media sites–post it on your website, have signs and banners made. It’s a great idea to talk with your vendors to offer some sort of drink special (i.e. $5 margaritas made with Jose Cuervo) and then your vendors pay for the signage. It may not seem like it, but if you don’t hire a trivia company, this will be the most challenging of all the steps. For instance, we do 6 rounds of 10 questions each week, including a current event round, a music round, a picture round (name who or what is in the picture), a matching round (match the picture/title of something to another), etc. That’s a ton of work for an employee to try and come up with fresh and original questions each and every week. Based on our format, that’s 3,120 questions per year. 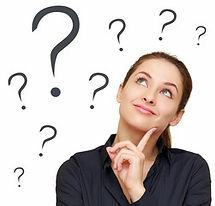 Even if you don’t hire a full-time trivia company to host, there are online trivia sites that will provide you with the questions (See STEP 5). By “materials” I mean the pencils, answer books, handouts (for picture round or other similar type of round) and the way you’ll score it. If you don’t hire a company or buy the materials online, you will need to have someone create all these, which again can be quite a chore. A company called Quiz Runners offers a monthly subscription at $89/month and they deliver the entire package to your door every Monday morning. I know some of you are stingy with your budget, but this is a bargain at $22 per week considering how much money you can bring into your place on a weekly basis. As they say, gotta spend money to make money, and this is what’s called an investment that gets an ROI, not an expense. Don’t get too hung up here on prizes. Prizes are fun, but your loyal regulars are there for the pride of winning and the camaraderie. However, you should still give out something to the winning team, or the top 3 teams, whatever you want to do. This is an area you can again turn to your vendors. Ask them for swag (t-shirts, keychains, hats, glassware, etc). They have warehouses of it and they have it sitting there to hand out for branding purposes. Doing this means your prizes are free, but it also means you have to keep pestering them for swag each week which can get tiresome, so you can do a combination of swag and a gift card or drink tickets or 1/2 off an appetizer. Whatever you want. 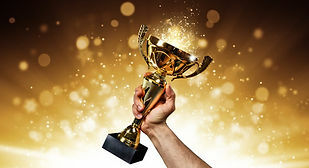 Again, the monetary worth of the prize is less important than it is as a symbol of victory. The final step basically starts the cycle all over again, meaning by posting pictures of the event on Facebook and your website, you are marketing and promoting for the next week. When people can look and see something going on that looks fun, they want to participate, especially when it’s a team thing. People love the team aspect. And speaking of teams, I am often asked if we limit the size of the teams, and the answer is we don’t. We have people play alone, all the way up to a team of 10. Obviously you have a better chance of winning with 10, but it’s all for fun and nobody really minds. If you have any other questions about starting a trivia night, feel free to contact me. I’m happy to help. And again, if you want to watch the video version of this on my YouTube channel to see how we do it at our bar, CLICK HERE.